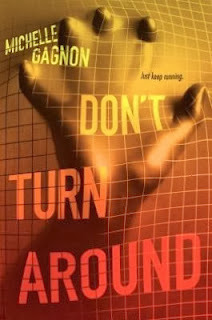 The first book in her Young Adult PERSEFONE trilogy, DON'T TURN AROUND, was selected as one of the best books of 2012 by the American Library Association, Entertainment Weekly Magazine, and Kirkus. It was nominated for an ITW Thriller award, and was a Junior Library Guild and Indienext pick. The second book, DON'T LOOK NOW, will be released in August 2013. Michelle lives in San Francisco. I am looking forward to this book only because it sounds like it will be really good! I've already read this book, and I loved it! Thanks for the giveaway! It just looks mysterious/suspenseful! Looking for a book like that to read! Thanks! I am looking forward to it because it sounds and looks like a fantastic read I love the Summary it sounds very mysterious and intriguing thanks for the great giveaway! I've had this book on my To Read shelf for a while now. I'm excited to read it. I can't wait to read about Noa's hacking skills! I have been hearing really good things about this book. It sounds so good, I would love to read it. Thanks for this chance. This book sounds intriguing and interesting! Been dying to read it. I have been intrigued by this book the first time I read about, and every time I read the synopsis, I just want to get my hands on it at that moment. I have always been intrigued by this book, and every time I read the synopsis, I just want to get my hands on it at that moment. This book sounds really intriguing!! I read about this last year and thought the premises sounded really interesting. Definitely would love to give it a read! Thanks for the giveaway! Living off the grid sounds like the start of a captivating novel. The comparison to the Girl with the Dragon Tattoo had me hooked!